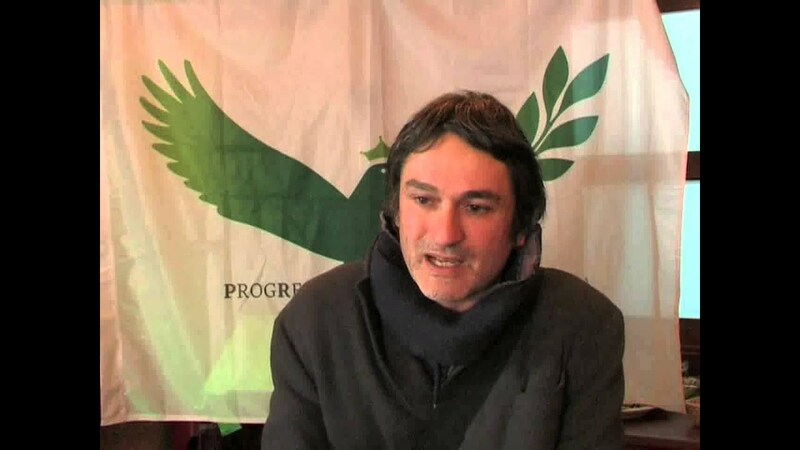 ProgReS is a separatist and social-democratic party in Sardinia, founded in 2011 as a split from iRS. It currently holds no seat in the regional parliament. The flag most frequently used shows a green eradicated tree on white [1,2,3,4,5,6]. The eradicated tree (in different variations) in recent times has become a prominent symbol of Sardinian separatists; it is a reference to the arms of the Giudicato di Arborea, independent in medieval times. Another flag, used more recently, shows a green crowned dove, its one wings stylized as a twig, on a white field; in addition the party name and abbreviation in grey shades [5,6,7].